In 2016, my friend Mohamed Moussa the founder of Iqra reached out to me to create Iqra's logo and brand. Iqra is the first application to use speech recognition to search the Quran. I wanted to showcase everything Iqra is with the its logo. One of my first steps was to see Iqra through the Mohamed's eyes. After a conversation with the founder, I asked him to show me logos that he liked to better understand what he was looking for and we sketched a couple ideas together. He liked Arabic calligraphy logos so thats what I played off. I felt like it was very complicated for an app logo. But I showed around the logo below to potential users anyways. The feedback I got was that it looked great and was very traditional with the Arabic calligraphy, but no one thought it would be a good app icon or logo. The users also thought that the name was very cliche. At the begging Iqra was originally going to be called Quran. 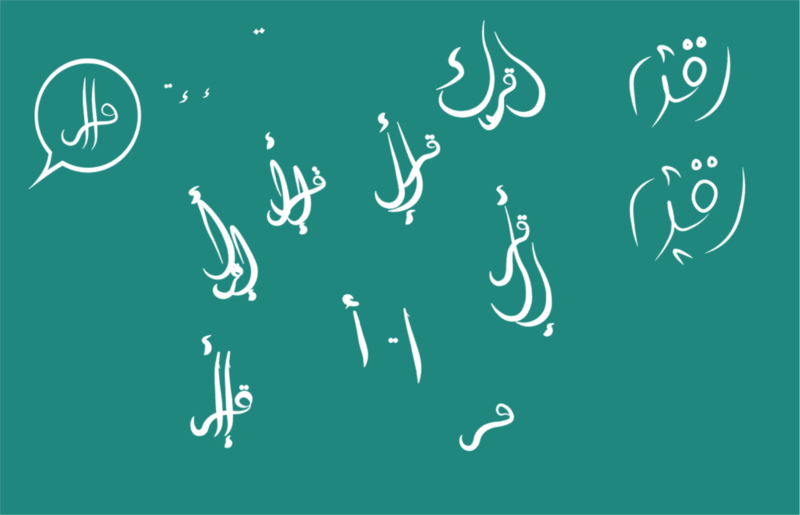 The first concepts where the word Quran written in Arabic calligraphy. But the name got changed to Iqra. This changed the name but the core idea of an Arabic calligraphy logo. After playing around with the word on paper and in illustrator I ended up with the icon below. Its has both an Arabic calligraphy feel but with a simple and modern look. I did the same thing again and show it around to potential users. The feedback was very positive. After cleaning up the sketch and finalizing the logo. I had to follow the android app icon guidelines.